AccessPress Themes provides beautiful and elegant, fully responsive, multipurpose WordPress themes (free and premium) to meet all of your needs. AccessPress Themes is a WordPress theme development company based in Nepal – the beautiful country of Mount Everest. It was first established in 2014 with a few geeks who were madly passionate about coding and doing things the right way. Now the company is a head-strong enterprise with more than 40 people, and they are all still crazy about coding and developing the best WordPress themes. AccessPress Themes provides beautiful and elegant, fully responsive, multipurpose WordPress themes (free and premium) to meet all of your needs. They develop WordPress themes that don’t lack the basics but also don’t have a lot of nonsense features which you might never use. All of their themes have easily customizable options and features, so that anyone, regardless of programming skills, can use their theme options panel and configure/setup the theme as needed. The combination of modern/trending features, elegant design, intuitive interface, and top-notch support has made all their users love AccessPress Themes. Thereby, the company proudly serves thousands of customers around the globe and is continuing to grow! 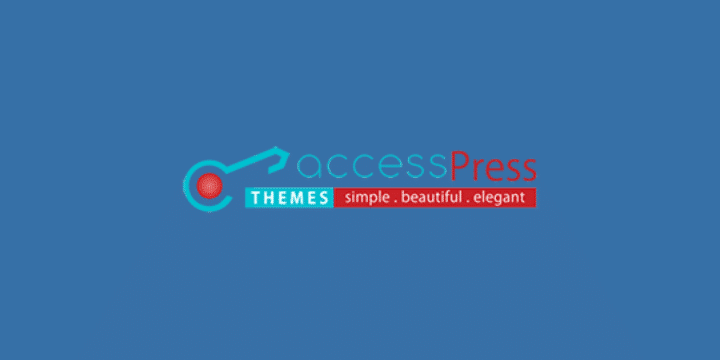 AccessPress Themes also provides 24/7 support, even for the free themes! Typical turn around times is as less as 1 hour.